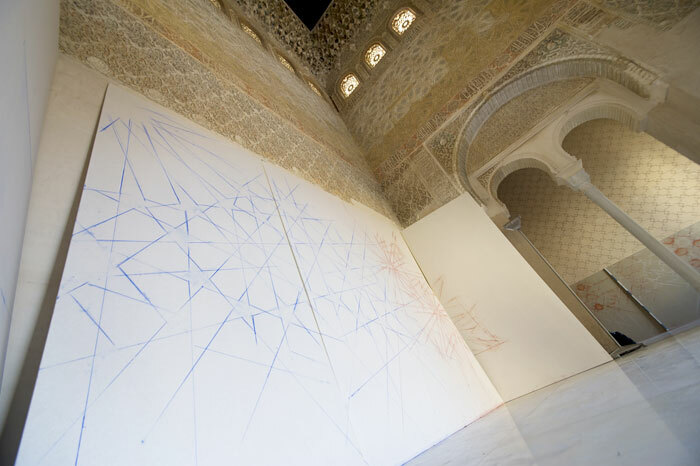 Inauguration: December 12 (12.30 h) Permanent until Sunday December 18. 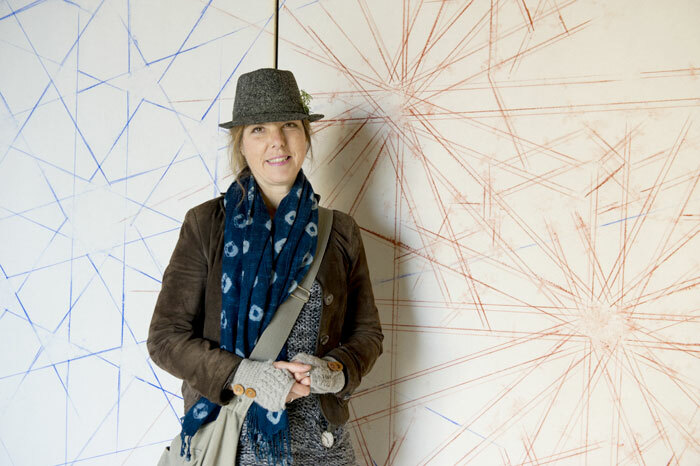 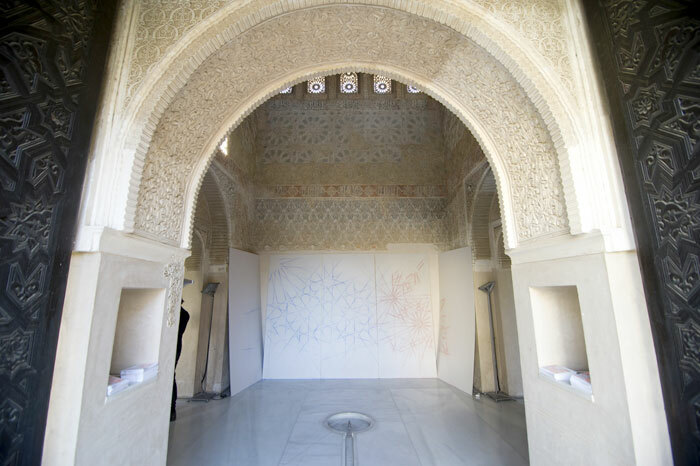 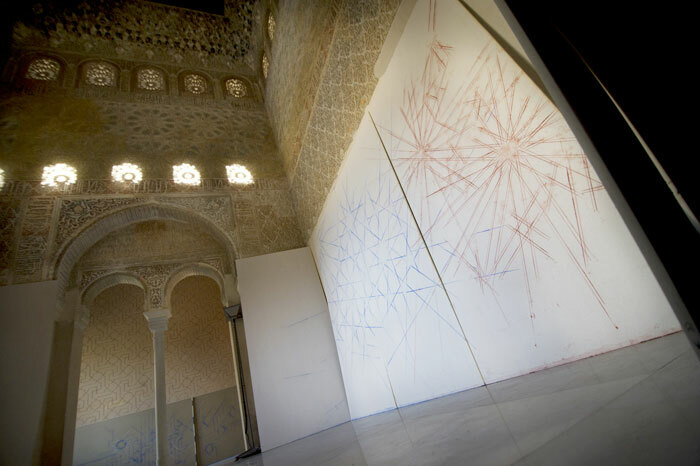 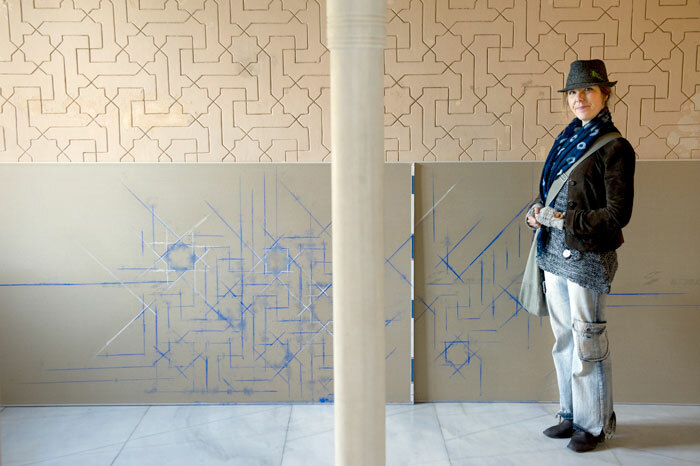 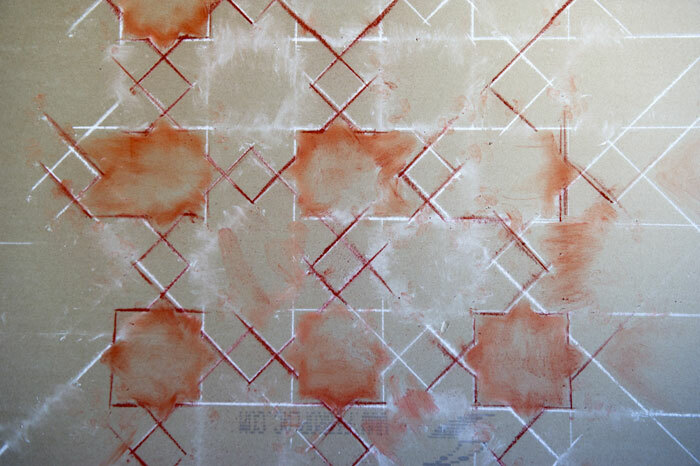 This work is an installation consisting of experimental drawing on plasterboard and ceramic tiles; arabesque motifs or chunks of arabesque which extend onto ceramic tiles, drawn using a mason’s ruling pen. 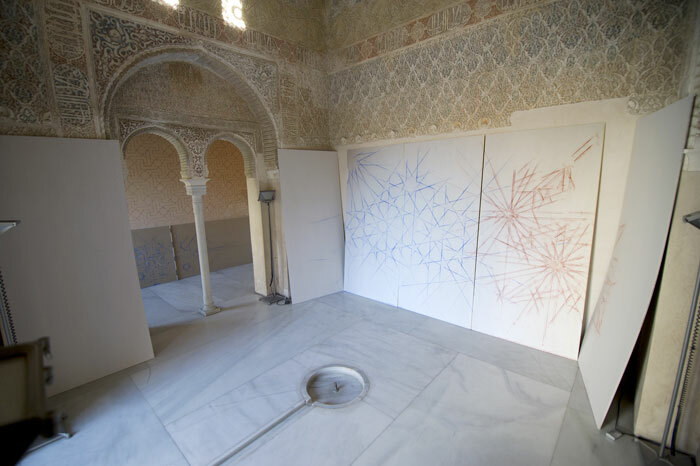 In visual terms, the extension of the arabesque motifs on the tiles onwards onto the floor makes use of the play of geometrical perception; the viewer cannot easily tell whether the arabesques extend onto the tiles or if the tiles extend into the arabesques. 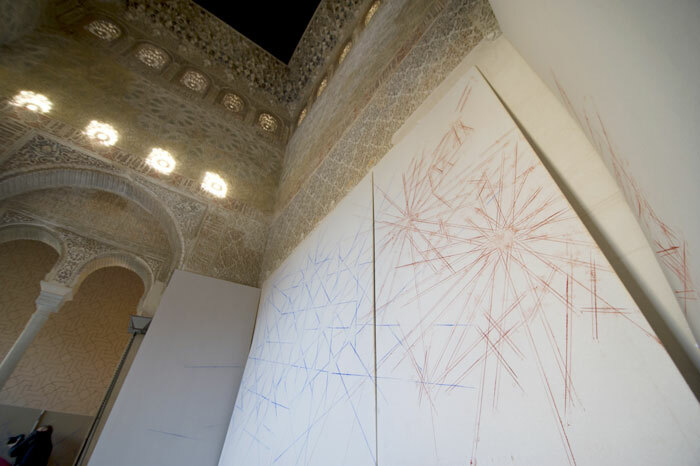 The artist is French and lives in Dijon.